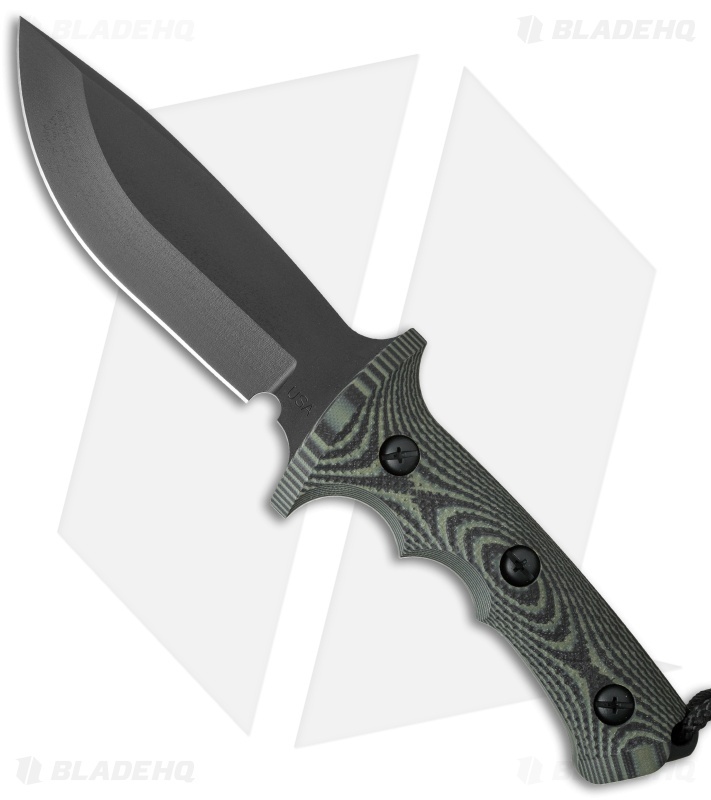 The Combat Hunter from Treeman Knives is equally suited for tactical use and hunting. It has a strong 1/4" thick blade with a long flowing cutting edge. 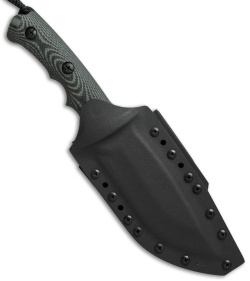 This model has an O1 tool steel blade with a black Cerakote finish and a hollow grind. Contoured green/black layered G-10 scales provide excellent grip. The Combat Hunter fixed blade knife comes with a kydex sheath for convenient EDC.